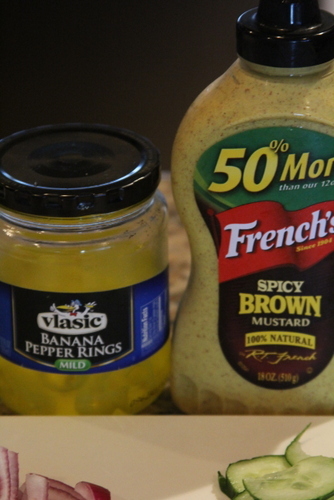 Why it’s my favorite sandwich in the whole. wide. world. 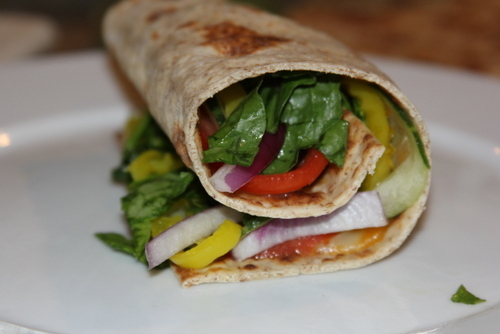 It’s actually my answer to Subway’s delicious flat bread veggie sandwich. If I had not found my own version there’s a good chance I would have eaten our grocery budget for the month in these – I love this sandwich so much! 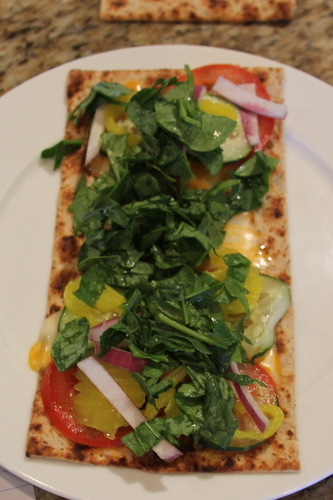 Start with this yummy flatbread – I buy ours at Costco. 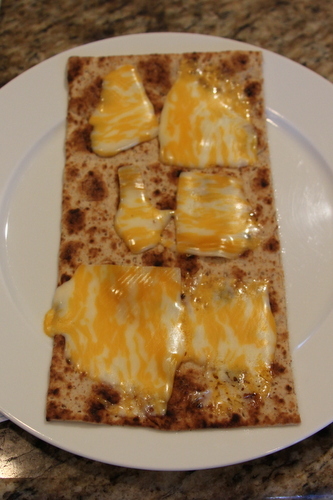 Melt your favorite cheese on it – give me a break people, it’s a veggie sandwich, I deserve some cheese. 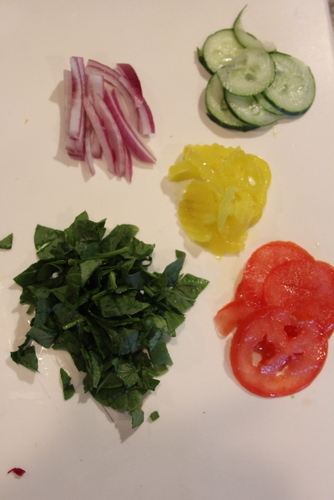 Chop your favorite toppings: red onions, cucumbers, banana peppers, spinach, & tomato. So there you have Day #3 of Big D & Me’s favorite things. Come back to tomorrow for Day 4! 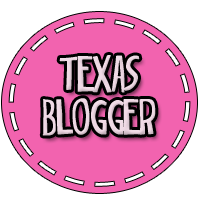 This entry was posted in budget, favorite, food, meal ideas, menu planning, recipes. Bookmark the permalink. I only ever eat the veggie sammie at Subway, too. Only I do it on bread. Good ‘ol cheesy bread. Mmmmm. 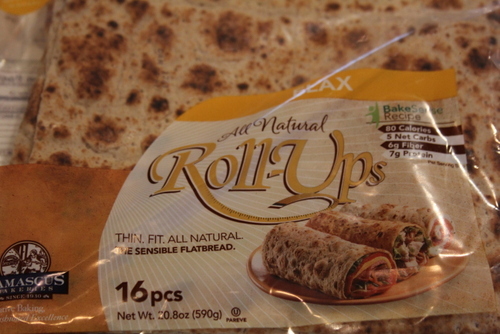 We’re havin’ wraps tonight and I’m pretty excited about it.